I have a special surprise today! My sisters are in town and they agreed to take some pictures with me for the blog! I truly wish I had at least one sister living near me. I come from a large family of 7 (6 girls and 1 boy) So It was really hard when they all moved to the midwest, 4 years ago. I miss spending time with them, going shopping and just hanging out and talking. 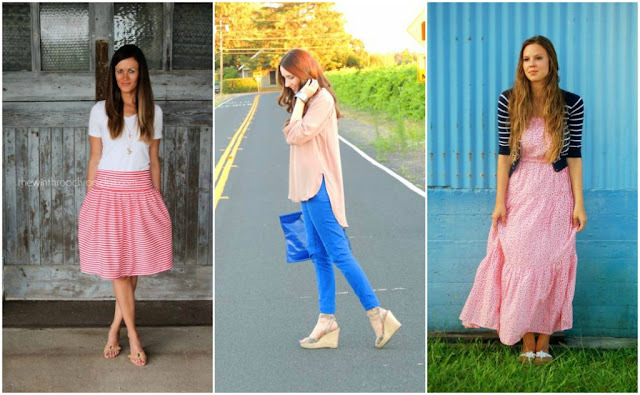 Sarah, from The Winthrop Chronicle's Shared her skirt she made herself! Kacie, from Kacie's Closet shared her gorgeous outfit. Love the color combo! 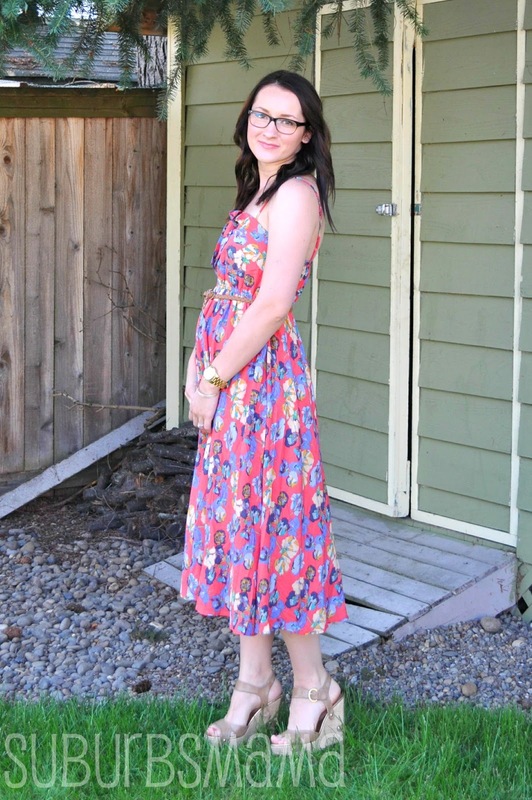 Callie, from Creations by Callie, shared her adorable outfit, loving that maxi! You and your sisters are gorgeous! I love each and every one of those pretty dresses. You all are so stunning! Your outfits are adorable, especially the coral pink dress! Love it! Talk about good genetics...you and your sisters are all so pretty! And I love the summery dresses! 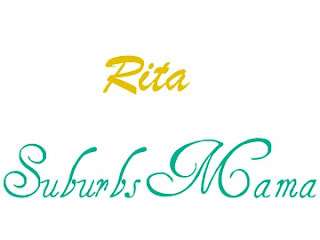 Hi Rita. 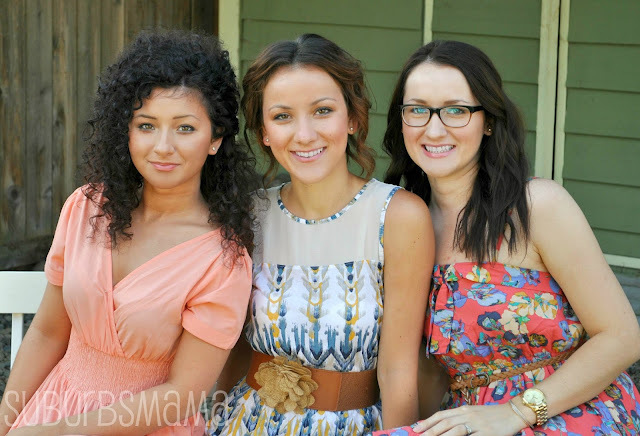 You have Gorgeous Sisters and all 3 of you look so Pretty in your Girly Dresses. I like the White Sheath with the Camel Belt the most out of all 3 looks. I will be linking up later today. Wow they look beautiful and just like you. Looks like they are bloggers too?!! !They got the poses down packed. Goodness, you're all so lovely and have such darn cute dresses! How fun to do some photos together. You and your sisters are all beautiful! I know what you mean about wishing your sisters lived closer. I only have one and she's in Minneapolis. 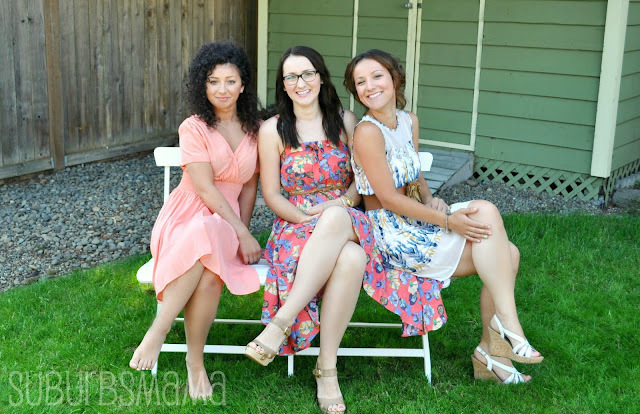 I have found "sisters" such as the two women who write our blog with me, and a couple of other great friends here in AZ and they definitely help fill the void. You are all so stunning! Gorgeous, sisters are a special kind of wonderful aren't they. I love y'all's dresses! You are all so gorgeous! 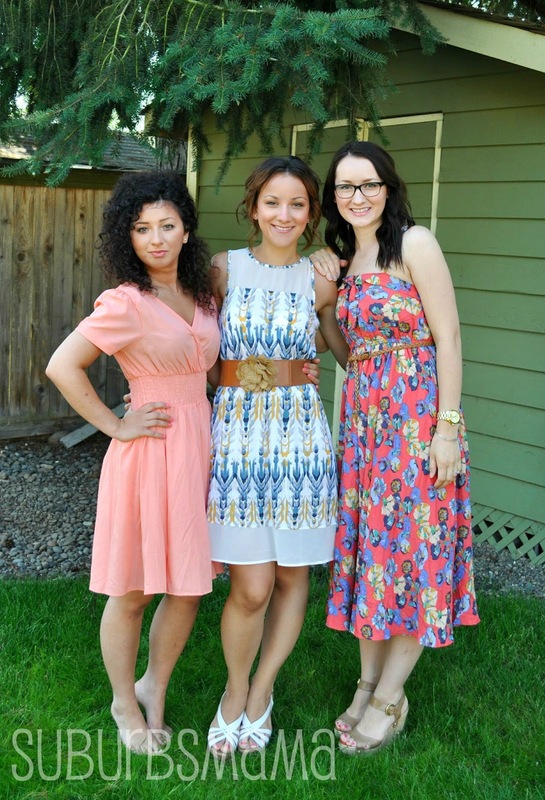 All three of you look fabulous in the dresses! I especially love the blue and white dress. LOVE the pictures of you and your sisters!! BEAUTIFUL!! In Love with the dresses! All you are looking superb fab..I also loved that frames for spectacles !! Great post! I love the common design fashion dresses. Like H&M dresses and also want to buy cheap but beautiful dresses!